Solomon Carter Fuller, M.D., was among the first known black psychiatrists and a pioneer among Alzheimer’s Champions. 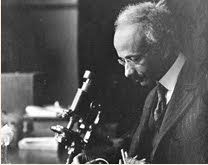 The grandson of a slave, Dr. Fuller worked along side Dr. Alois Alzheimer, who discovered the traits of the disease in 1901. Dr. Fuller is responsible for countless contributions to the field as a researcher and educator. The Solomon Carter Fuller Mental Health Center in Boston is named in his honor. I am pleased to learn about Dr. Fuller, the descendant of a slave, his association with Dr. Alzheimer and of his important contribution to research. I hope to learn more about him in the future. Thank you.